Finished Dimensions: 9x7 inches plus the tail! 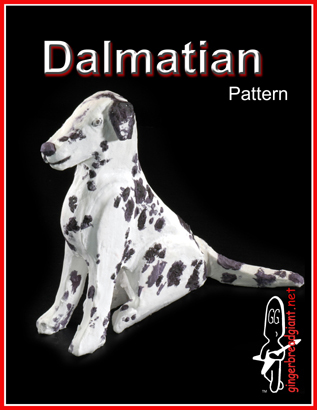 The only spotted breed, the Dalmatian is alert and active, possessing great endurance, speed and intelligence. Their working and sporting heritage makes them suitable as a fire-apparatus follower, firehouse mascot, bird dog, trail hound, retriever, performance animal, and they are often found in the show, obedience and agility rings, or galloping alongside a horse as a coach dog. Their short coat is white with black or liver (brown) spots.